Welcome to Hospental, in the heart of the Urseren Valley, surrounded by 7 alpine passes. Sinde 1994 we manage our cosy Family Business in the 4th generation. Our 2 single rooms, 1 double room, 1 twin room and 1 triple room are simple but cosy. In the rooms is running cold and warm water. The shared toilet&shower are on the corridor (max. 9 guests). In the dormitory we have 14 & 16 beds (not only for Groups). 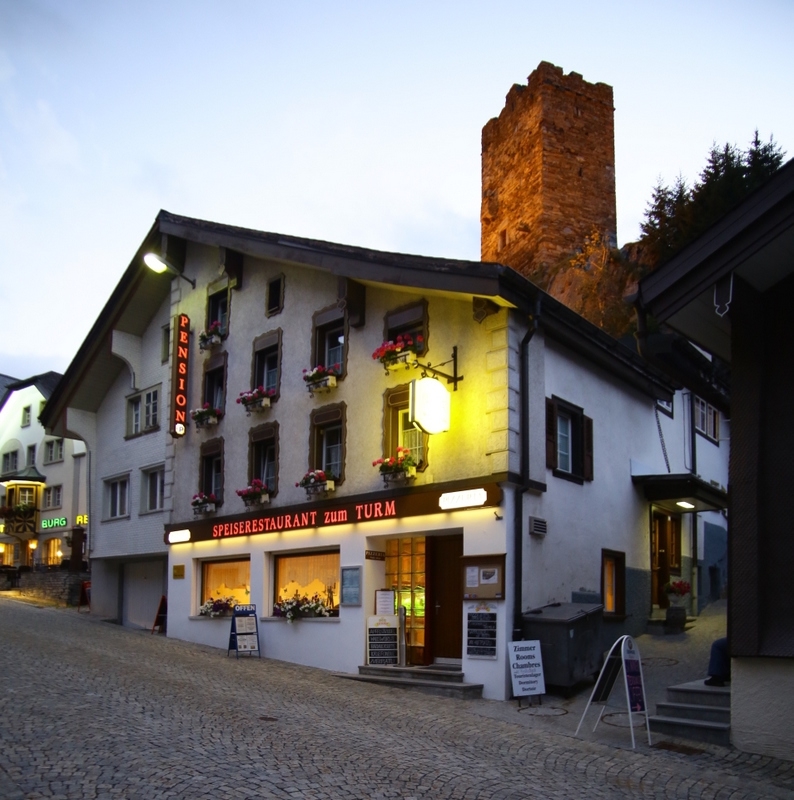 On the menue you will find fresh pizzas, steaks on the hot Stone, fonue&Raclette and typical local Swiss dishes. The cosy Restaurant with the 34 seats invites you to linger. The quiet garden Restaurant is turned away from the street and wind-sheltered behind the house, with a view on the legendary Langobarden Tower from the 13th century.. Copyrights and all other rights to content, images, photos or other datas on the websites belong entirely to the Gasthaus zum Turm or the separately named rights holders. Written agreement from the copyright holder must first be obtained for the purposes of reproducing any part.